Ethiopia, the oldest independent nation in Africa, is a land of stunning natural beauty, and hosts a rich diversity of people with many cultural backgrounds, values, ethnicities, and religions! In a region dominated by Islam, Ethiopia has remained the only Christian nation in Africa that co-exists with Islam peacefully. For centuries, many invasions by Islamic warriors have proven futile, as they were counter-attacked by the many Christian kings who led the people to victory in these wars. 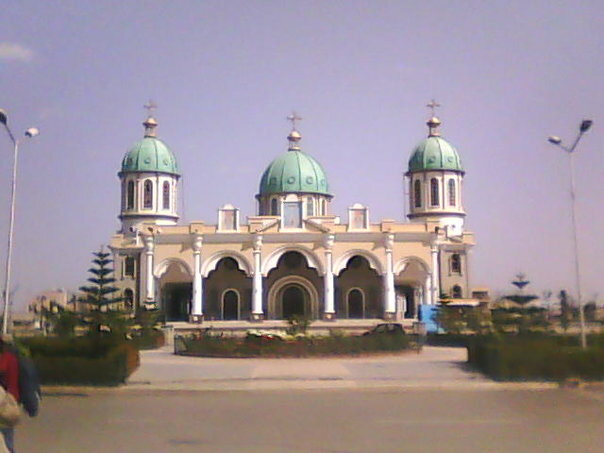 To this day, Ethiopia remains a country with a majority Christian population and a considerable coexisting Islamic community. It is fascinating to see how the country survived the various negative influences in the region to become peaceful. 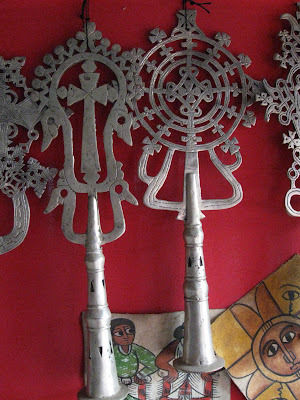 The Ethiopian Easter, also called Fasika, is one of the greatest festivals of the Ethiopian people, celebrated with its truest meaning after 40 days of fasting. All churches (both orthodox and protestant) preach and practice the reason behind the celebration. The Christian community in Ethiopia consists of a majority of Orthodox Christians (the type of Christianity that has existed for centuries in the land) and the vibrant and growing Protestant Christians who came to the scene about half a century ago. There are basic similarities in the way Easter is celebrated in both congregations. The one unifying belief is that both accept Christ as the Messiah who came to save the world from sin and gave His life for the redemption of souls. Both also believe that He is coming back to rule the earth from Jerusalem, the Holy City, according to Bible prophecy foretold thousands of years ago. Both congregations celebrate this special occasion with great anticipation and in a way that highlights the climax of the Christian faith. In the physical aspect of things, it is very common for families from both religions to slaughter a lamb in remembrance of what the Israelites were commanded by God to do as they were leaving Egypt in the Torah (Old Testament), led by Moses into the Promised Land. Some regions of the country even slaughter their lamb by the door posts of their houses, strengthening the meaning all the more. The week before Easter is commemorated as the week of the Celebration of Hosanna or Palm Sunday, when Christ came into Jerusalem sitting on a colt with multitude waving palm tree leaves. It is customary to tie palm tree leaves on foreheads or make temporary ornaments from the leaves during this day by the Orthodox Christians. In the days that follow after the Hosanna celebration, many in the Orthodox faith go to churches and prostrate themselves a number of times in the church to atone for their sins. In the Protestant churches this season is seen as a special occasion to reflect on the price that has already been paid by Christ to atone for the sins of the world. Thus, this season calls for reflection into one's lifestyle and considering whether one is living up to the liberty purchased by Christ. Protestant churches also believe strongly that Jesus is the only way to the Father and that no other way can lead a soul to the one true God. Fasting and prayer is also practiced by both churches. In the Orthodox Church, a 40-day fast from meat, eggs, milk and all dairy products ends on Easter Sunday. The main religious celebration takes place on the night before Easter Sunday. It is a somber, sacred occasion; many protestant churches hold over-night services and people remain there with candles and warm clothing. The service commences at 9:00pm and around 4:00am – 5:00am, singing starts and a very joyous celebration of the rising of the Lord Jesus Christ from the dead is celebrated 'till morning! In recent years, it has become a norm to hold special services in the stadium bringing several denominations and churches in the Protestant faith together. In conclusion, Easter in Ethiopia is a very vibrant and splendid religious festival that unites all Christians from all walks of faith and allows them to focus on the central theme of Christianity. Your articles certainly gives us different views of the same subject matter. Thank you Ms. Rose. Easter is celebrated in so many different ways around the world. Several years ago I was fortunate enough to see the celebration in Jerusalem. There were pilgrims from all over the world re-enacting the crucifixion in many different ways; many of them prostrated themselves in a somber, sacred procession carrying the cross through the streets of old Jerusalem.